Live webcams are great ways to check weather, examine traffic patterns, or observe the Colorado seasons. They show you a live feed of your area of interest. No matter your reason for using a webcam, it’s important to know how they can be used. Check weather or highway traffic with COtrip, one of the best ways to look through webcams all across Colorado. You can choose any location on an interactive map and it will bring up a variety of cams, whether they are still (photo-based) or live streaming (video-based). This source doesn’t just show a camera feed, though. It also offers real time weather reports, traffic information, and road work alerts so you can map the best path from Point A to Point B. 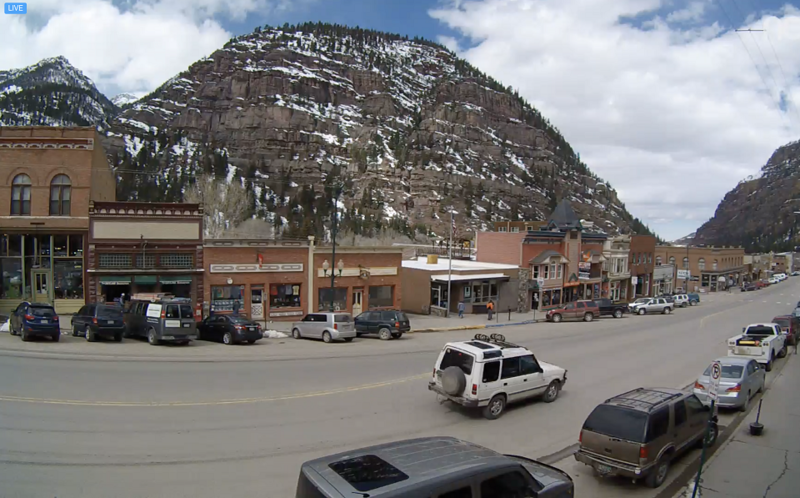 If you’re wanting to come to Ouray, we have several webcams set up all across town! Whether you want to see how busy the Ouray Hot Springs are, take a look at the traffic in the area, or check the weather in our town, our webcams are ready! Under the interactive map, select the desired highway and click on one of the camera icons on the map. On the left, there are several icons that will give you detailed information regarding weather and road conditions, traffic speed and delays, alerts, and available stations for weather and chains. The left icons also give you the ability to check out still and actively streaming cameras. By clicking on route information from the home page after selecting from the prompted options, you can flip through available cameras as well as check delays and road conditions. Finally, the website gives you the option to observe alerts on the major interstates and provides information for truckers. If you’re traveling to Ouray (or anywhere in Colorado), it’s important to use these tools to gauge travel time and driving safety! Once you get here though, the Ouray Chalet Inn will be waiting, no matter the road or weather conditions. Call 866-337-3585 to book a room with us!